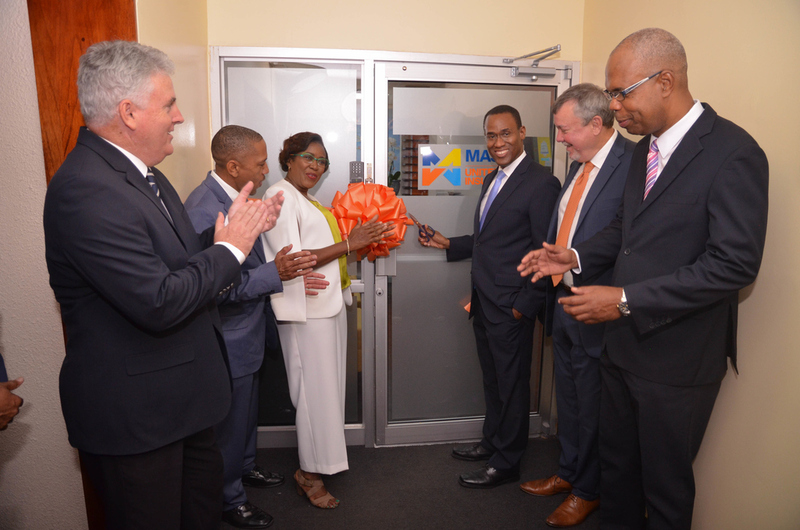 Mark Sommerville, Chief Commercial Officer Massy United Insurance (MUI), Randy Graham, CEO (MUI), Winsome Gibbs, Branch Manager (MUI) joins in the ribbon cutting alongside Dr Nigel Clarke, Minister of Finance and Public Services, David O'Briean, Chairman(MUI) and Peter Graham, Country Manager (MUI) as they officially welcome Massy to Jamaica. 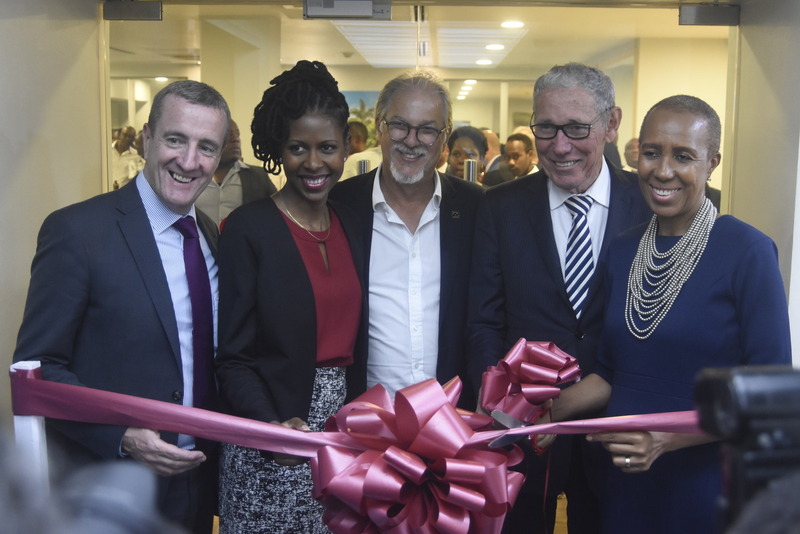 Massy United Insurance officially entered the general insurance market with the official launch of its local branch at PanJam Building in Kingston last Wednesday. Randy Graham, CEO of Massy United Insurance, is upbeat about the prospects for the new insurance branch. "The Massy Group has a reputation of success and has been a trailblazer in several service industries. 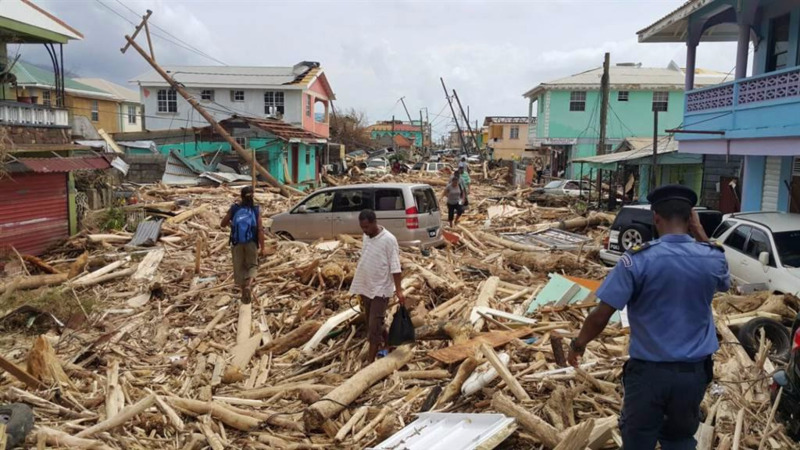 Our decision to introduce insurance to Jamaica has come at a time when natural disasters are becoming more unpredictable and insurance is so necessary and critical. We believe in providing security for Jamaica and Jamaicans. We have all the packages and policies to suit any need," Graham said. "We are happy to begin this journey and invite you all to share in it with us. 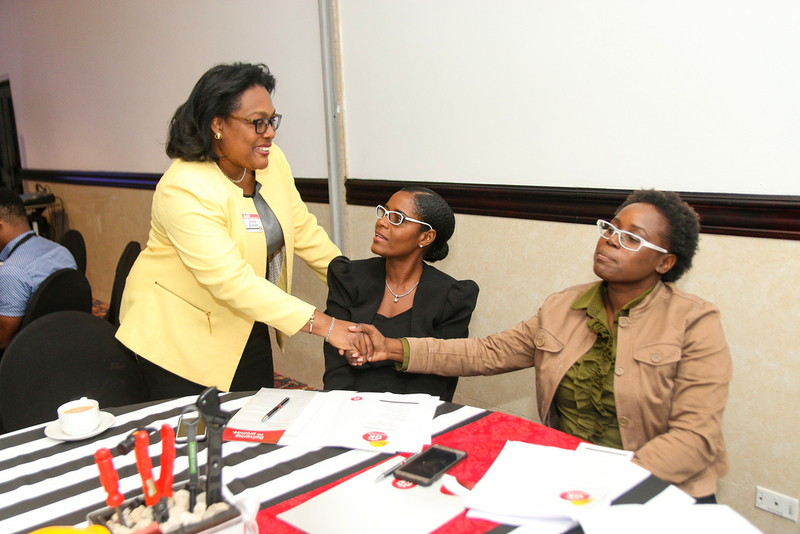 Growth for us means growth for Jamaica and the region, insurance provides peace of mind, Massy United Insurance is developing a synonymity with that peace of mind," Graham ended. Finance Minister Dr Nigel Clarke said the expansion of the company into Jamaica is a testament to the fact that the country is moving in the right direction. “When an organisation like the Massy Group, that has an opportunity to invest anywhere they want in over 19 markets… and they choose to set up operations in the insurance business, which is a business that takes on risk… it tells you that they, like us [in Jamaica], smell opportunity,” he stated. Clarke said that the company’s entry into the general insurance market will offer new competition, which will ensure that customers receive the best prices, terms and savings. “Competition is good for Jamaica. 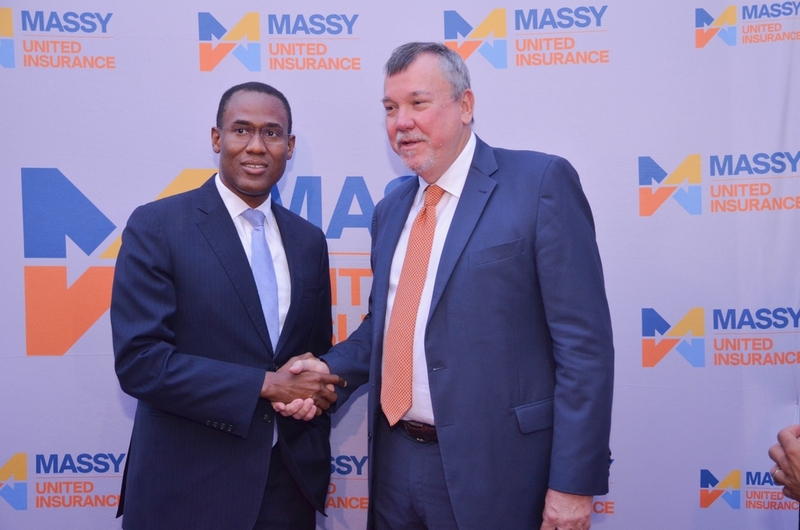 So, we welcome Massy United Insurance to Jamaica for the virtue of the competition that they will contribute to,” he said. 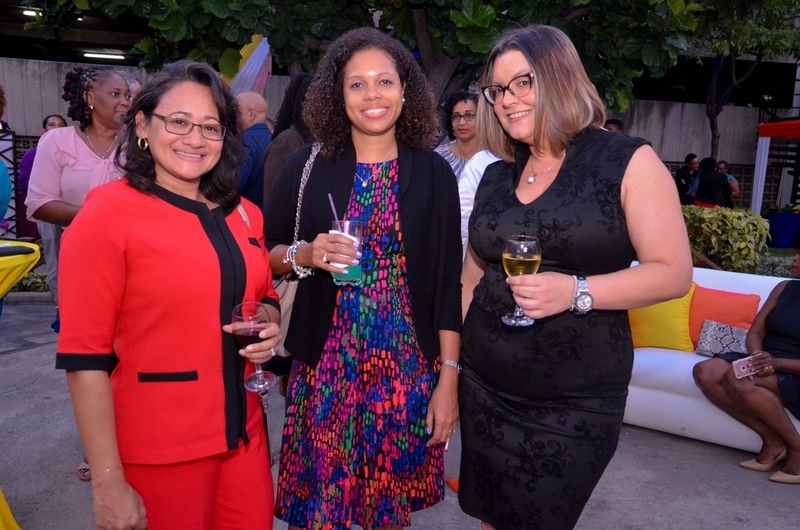 L-R Simone Kong Fong , Jamila Taylor and Sheraley Bridgeman were captured at Massy United Insurance business launch on March 13 at the Panjam Building. Massy United said it has successfully responded to several hurricanes, earthquakes, flooding and other catastrophes in the region for more than 40 years. The most recent demonstration of this was the aftermath of Hurricane Irma and Maria, where more than 1200 customers in nine of its markets were paid US$275 million. Massy United Insurance settled 80% of these claims within three months of reporting. The company is represented in 19 territories via branches or its agent network. According to Massy United, its entry makes it the only general insurance company in Jamaica with a financial rating from an International Rating Agency. They currently hold a rating of A- (Excellent) which was reaffirmed for the 13 consecutive years by A.M. Best. Massy United said it has a suite of insurance solutions that can be sold individually or combined depending on the needs of the customer. Some of their products include; Marine Cargo and Hull, Pleasure Craft, Contractor’s All Risks, Bonds, Professional Indemnity, Golf Insurance, Homeowner’s Comprehensive (HomePro), Motor (AutoPro), Fire and Perils and Liability. Massy brand is no foreigner to the island, with currently three subsidiaries from the Massy Group operating in Jamaica. These are Massy Gas, Massy Distribution and Massy Technologies.